"For the Turkish government, I am a terrorist. Everybody challenging the government is a terrorist." Can Dündar isn’t easily silenced. The outspoken Turkish columnist and editor has been fired, jailed and even shot at by a would-be assassin for his coverage of President Recep Tayyip Erdogan’s government. He’s been forced into exile, blocked from seeing his wife and faced calls from Turkey’s pro-government media that he be abducted from his new home in Berlin. 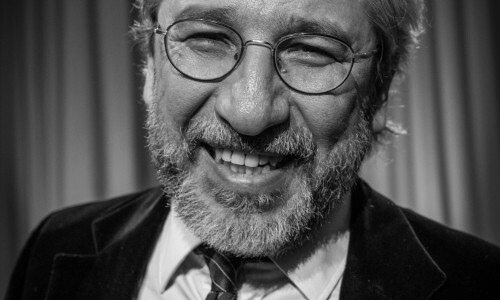 Dündar isn’t one to avoid risks during his 37 years as a journalist, TV anchor and author. Earlier in his career he wrote for Hürriyet, one of the country’s largest news outlets, before becoming a columnist with the daily Milliyet. Dündar was fired from the latter in 2013 after criticizing the response of Erdogan’s ruling AKP party to the massive anti-government protests that began in Istanbul’s Gezi Park. But Dündar wasn’t done. 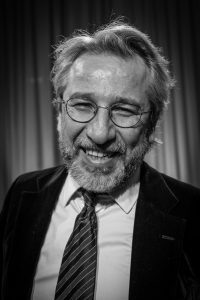 He went on to become editor-in-chief of Cumhuriyet, a smaller newspaper that became increasingly critical of the government as Erdogan moved the country towards authoritarianism. In 2015, Cumhuriyet created a sensation by posting video footage online that it said showed Turkish intelligence forces transporting arms to opposition groups in Syria. The report infuriated Erdogan, who labeled Dündar a traitor. Both Dündar and Cumhuriyet’s Ankara bureau chief, Erdem Gul were arrested and charged with espionage and ‘divulging state secrets.’ Dündar was interrogated for 11 hours before being taken to jail, where he was held 92 days, including 40 days in solitary confinement. 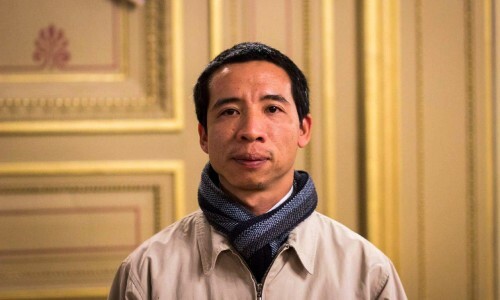 He was released to face trial, but on May 6, 2016, as Dündar awaited a verdict in his trial, a lone gunman approached him outside the courthouse and shot twice at him. The shots missed, and the gunman was wrestled away by a plain clothes policeman and Dündar’s wife. In video footage of the incident, the assailant is heard calling Dündar ‘a traitor’ – the exact the same words as Erdogan used to describe him. Dündar was sentenced to nearly six years in jail, but appealed his conviction. While on holiday overseas during the appeal in July 2016, members of the Turkish military launched a failed coup against Erdogan. In the aftermath, Erdogan declared a state of emergency and began a sweeping crackdown against perceived political opponents and alleged supporters of a dissident cleric the government accused of inspiring the coup attempt. More than 160,000 people were arrested and 152,000 government workers were fired, according to the UN’s human rights office. Among the arrested were 166 journalists, 75 of whom were convicted of various crimes, including coup-plotting and disseminating terrorism propaganda, according to the Stockholm Centre for Freedom. Thirteen of Dündar’s Cumhuriyet colleagues were charged in the purge. All of this was enough for Dündar not to return to Turkey. 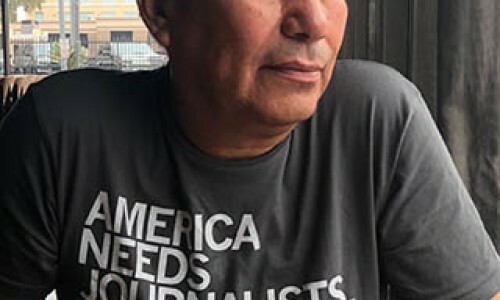 Now living in Berlin, he divides his time between writing a column for the German newspaper Die Zeit, launching the startup Turkish news site Özgürüz and lecturing in Europe. A play based on his writings in jail called “We Are Arrested,” debuted in May at the Royal Shakespeare Company in the United Kingdom, just weeks after Turkey’s highest court ruled that Dündar’s jail sentence should be extended to 15 to 20 years. Global Journalist: What made you decide not to return to Turkey? Dündar: After the military coup attempt on July 15, 2016, the rule of law was lifted, and my lawyers warned me that under the state of emergency I would be in jail again and it won’t be that easy to get out this time. The first thing they had done was arrest the high [court] judges who had decided for our release previously. They are all in jail, still. So it was a kind of a coup d’etat by Erdogan. I also consulted my colleagues, my family, and everybody advised me not to come back. Of course it was not an easy decision because I went on a holiday just with a suitcase full of books and nothing else. So I stayed in Europe,without anything. First I traveled in different countries: to London, to Paris and Berlin…but I realized that Berlin was the best option because there was a huge interest about Turkey in Germany. I got an offer from Die Zeit to write a regular column for them, and PEN/Germany offered me a scholarship. So I decided to stay here. GJ: The Turkish community in Germany is about 3 million people – and many are fervent supporters of Erdogan. Isn’t Germany a little bit unsafe for you? Dündar: Not “a little bit.” It’s really the most dangerous place on Earth for someone like me [laughs]. In the beginning, I was not aware of the risks. But then I realized immediately, and it’s still a problem. GJ: Do you encounter real danger in Berlin from pro-government Turks? Dündar: Yeah, that’s daily business. They attack, they come to annoy you, they insult you…That kind of stuff. But it’s nothing different than Turkey, you know, you get used to this always facing risks. It’s not new for me. I just have to be careful. And if I do something in public, the German police normally comes and protects me. GJ: When did you realize that your wife wouldn’t be able to join you? Dündar: Immediately after I arrived in Berlin, I called her. The day after she was about to come to me but she was stopped at the airport…without any reason. They took her passport and confiscated it. First they said her passport is not reading on the computer. Then they said it’s lost, although she had it in her pocket. Shortly after, they published a kind of decree saying that if someone is being blamed for terrorist acts, their family members may also be banned from travel. For the Turkish government, I am a terrorist. Everybody challenging the government is a terrorist. So it’s two and half years now that we are living separately…She can’t travel…it’s tough, really, it’s a kind of punishment. She’s held like a hostage. GJ: When Erdogan came to Germany in September, he threatened to stay away from a press conference if you would be there. In the end, you were the one who decided not to show up. Why did you give in? Dündar: That’s correct. Mr. Erdogan said, “It’s me or him.” I decided that a journalist should not be the subject of the news, he should be the writer of the news…On the other hand, what was important is asking questions. So I gave my questions to my German colleagues and they asked them. Everybody understood what kind of politician we are dealing with and how he’s scared of journalists and questions. GJ: Do you still think it’s been worth the sacrifice? Dündar: Yes, because we are not only defending a profession, we also have to save our country. It’s a high price we are paying. But the alternative is losing the country. So we have to do everything we can. I feel responsible for my son [who lives in the U.K.], I want him to be able to live in a free country. I have to do my best and this is the least that I can do: writing as a journalist and talking. GJ: Do you still hope to be able to return to Turkey? Dündar: In the short term, it will be painful, but we are coming to the end of it. After sixteen years of power, now Erdogan is facing [his] most difficult period of time, at least economically. So we will see the consequences. Join our mailing list (or follow us on Twitter or Facebook). We’ll send you our weekly newsletter, our monthly events update and periodic updates about our activities defending free speech. We won’t share, sell or transfer your personal information to anyone outside Index. Kris Croonen has worked as an editor and producer at Belgium’s VTM Nieuws. He was recently a Fulbright Scholar at the Missouri School of Journalism.